Cottage at Sannox is a cosy, self catering holiday home, set in one of the most spectacular parts of the Isle of Arran. 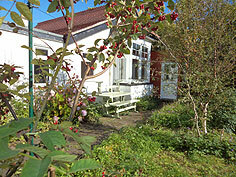 The cottage has a backdrop of mountains behind, with the sea to the front. For those who are looking to escape the stresses of modern day living, you will find the area truly perfect. Dating back to 1895, the cottage has been tastefully renovated over the years. It now offers comfortable accommodation for up to 4 people. The village of Sannox is between Lochranza & Corrie. It is an ideal base from which to explore the island and its many beautiful locations. There is a golf course within a few minutes’ walk and a tea room where you can enjoy a selection of beverages, cakes and meals. The main town of Brodick is a 10 minute drive from the cottage. The Glen Path runs right next to the holiday cottage. 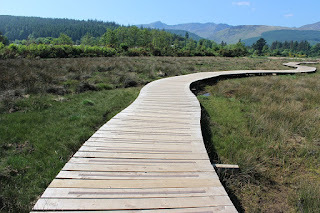 This path takes you up to the mountains, along the way you will see lots of wildlife, red deer, squirrels and birds of prey. You can also very often see plenty of seals playing along the shore of Sannox beach.